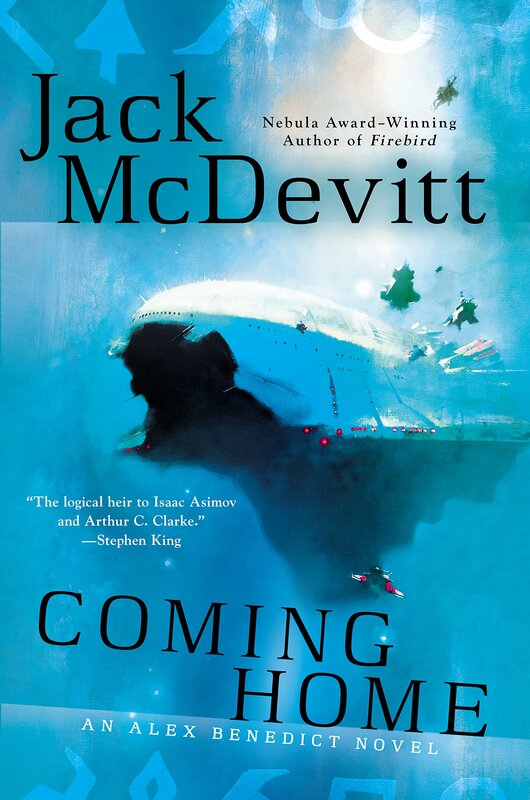 Coming Home is the seventh Alex Benedict novel by Jack McDevitt. These are not military or thriller science fiction, but they do have a quest, and a quirky pace much like real life. They are narrated by his assistant and pilot, Chase Kolpath. Alex is in the business of antiquities (or salvage, depending on your opinion), thousands of years in the future of a timeline that could be ours. Human empires and cultures have risen and fallen since humans left Earth; so much history is lost due to riots and wars. And much of the history of the early years of space exploration is missing, such as the early flights to the moon. A friend of theirs brings them an early space artifact of mysterious origins and asks for their help in authenticating it. The trail leads finally, to Earth, and more mystery. Also creating tension for the pair is the fact that Alex’s uncle is on a space liner caught in a space/time warp, which makes the ship available every 5 years, real time, only minutes have elapsed shipside. So that only a few people can be rescued each time, before the ship disappears again, for 5 years. Since Alex owns a yacht, and Chase is the pilot, she is involved in the rescue attempts. 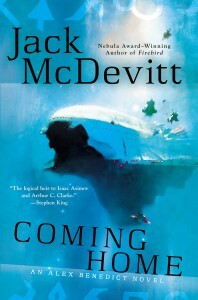 Jack McDevitt definitely has a distinctive voice in the field, and can both create characters that one can care about, as well as interesting science. His pacing is also more like real life, the antique search slowing and speeding up much like a real search with hunches played out and failed, and others popping up. The work on the space liner rescue interrupts regular life, as it would, and then the excitement dies down. It feels much more like living with the characters than the constant roller coaster thrill ride of a science fiction thriller. Much more consideration about the human element and consequences is often given in his work.